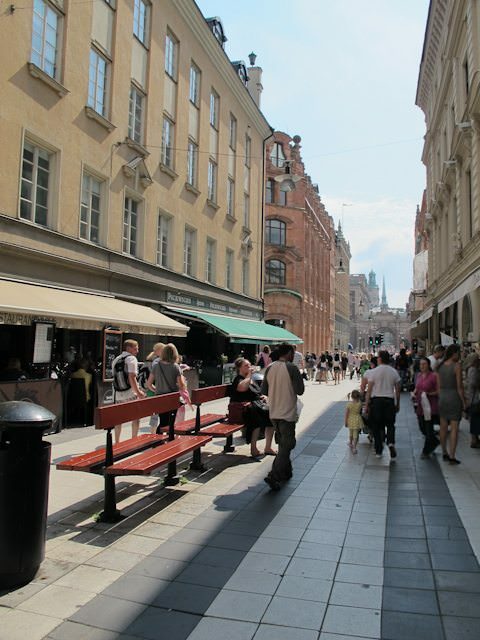 My journey to Windstar Cruises’ elegant Wind Spirit in the port of Stockholm, Sweden took a whopping 17 hours; time that saw me change planes in both Toronto and Dusseldorf, Germany on my way to the Swedish capital. And after countless problem-free cruises and flights, my luck finally ran out. Well, not “lost” in the strongest sense of the word. Lufthansa knew exactly where it was: Dusseldorf, the site of my last connection. Apparently I was quick enough to meet the demanding 45-minute transfer that involved being bussed to a remote tarmac location, but my bag got lost in the jumble. This was the perfect topper to my mammoth day after I inadvertently spilled a cup of piping-hot tea all over myself en route to Dusseldorf. As I desperately tried to mop up, the sympathetic German woman sitting next to me took pity. I thought she was going to give me her spare napkins to help remove the tea. Instead, she gave me the uneaten stick of Gouda cheese that came with her in-flight meal. I still have no idea why. So it was with some incredulity that I realized my luggage wasn’t going to show up on the carousel at Arlanda Airport. But after taking the Arlanda express and boarding the Wind Spirit at her Skeppsbron 106 berth, those concerns and worries drifted away. The 1988-built Wind Spirit is a unique combination: a true working sailing ship. She can hold almost 150 passengers and offers an incredible amount of open deck space. The passengers aboard this voyage tend to be mostly American, with a good smattering of Europeans thrown in to complete the mix. 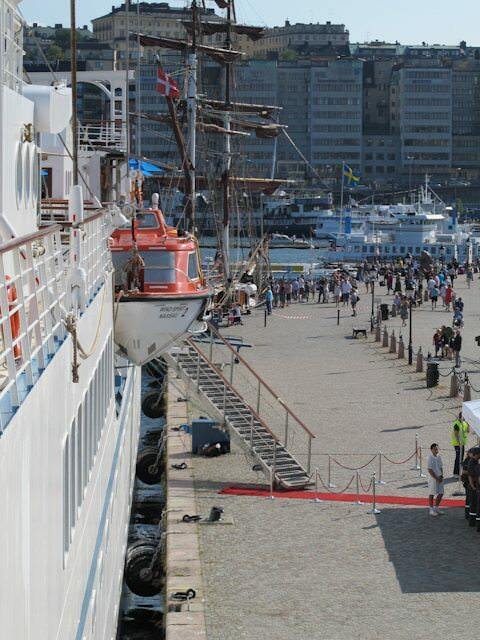 One of the greatest joys of sailing on a smaller ship are shorter embarkation procedures. Once we arrived at the pier, a steward whisked our hand luggage from us and lead us to the Lounge at the aft of the ship. Here, forms were waiting for us on each table for the usual credit card and health questionnaires, and in no time we were checked in and had our keys (and mimosas!) in hand. Read the full story at From The Deck Chair here on Avid Cruiser. 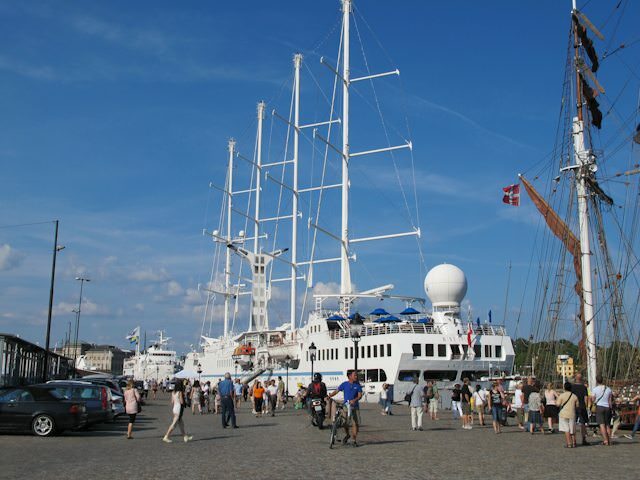 We saw the Wind Spirit ship in Stockholm….great spot to embark, best in the city! I think this might have been her first visit to our beautiful city. Enjoy!